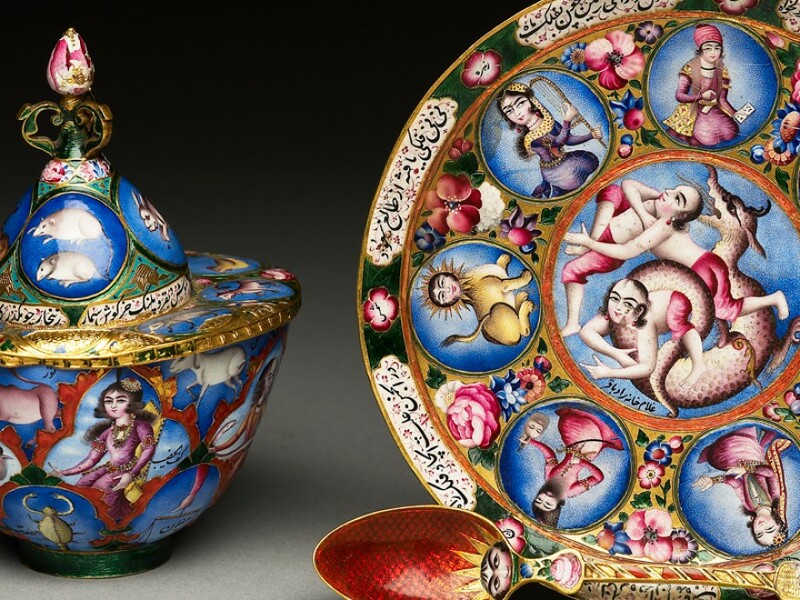 The Eastern Art collections at the Ashmolean comprise around 30,000 objects including ceramics, textiles, sculpture, metalwork, paintings, prints, and other decorative arts. Predominantly from Asia and the Middle East, the collection spans over 5,000 years of cultural and artistic development. The Department of Eastern Art was formed in 1962 and is responsible for the care, display and development of these collections. For the most part, it is managed by geographic area with specialist curators for art from the Islamic world, the Indian subcontinent and Southeast Asia, China and Korea, and Japan. Promoting the collections as an educational resource is a key area of the Department’s activities; the curators teach and supervise students, provide special access to the collections for research purposes and publish their own research. Indian, Tibetan and Southeast Asian collections of international importance, with the help of several benefactions. There were a number of Eastern Art objects in the Tradescant collection given to the University of Oxford by Elias Ashmole. This collection was the foundation of the Ashmolean Museum, which opened to the public in 1683. From 1883 the Eastern Art collection grew more rapidly following the foundation of the Indian Institute, which opened its own museum at the end of the 19th century. This collection was brought together with expanding Eastern Art collections in other areas to create a Museum of Eastern Art in 1949. Finally in 1962 the whole collection was transferred to the Ashmolean’s current home and the Department of Eastern Art was established. The collection continues to grow through an active acquisition programme, thanks in no small part to the generosity of the Friends and other supporters of the Museum.